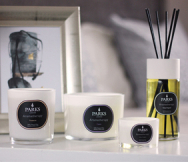 Parks Candles’ Thai Spa perfume blend is an enticing, enlivening mixture of eucalyptus, peppermint, grapefruit, cedarwood, lavender, rosemary essential oils. It also contains a neutral stabilising base. This presentation-quality gift box allows you to change the feel of your home, office or any other personal space for the better, infusing it with these exotic scents, as composed by our expert team of perfumers. It includes a large (100ml) decorative bottle of scent, a reed diffuser cap and, of course, a collection of our premium grade all-natural reed diffuser wands. Simply insert one or two to distribute an enticing hint of scent, or insert all of them to make sure this scent can noticeably encompass a large space. The combination must be experienced, as mere words cannot do it justice. 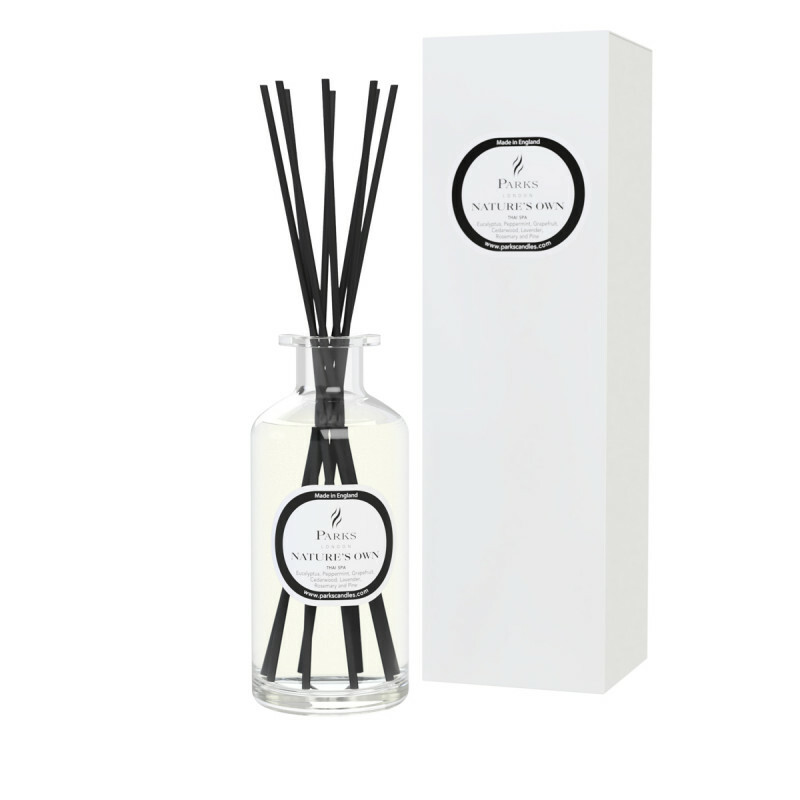 This premium blended reed diffuser perfume gift set is supplied in a lovely presentation-quality box and will last for 6-8 weeks of continuous use by the lucky recipient.